Pin trading is a fun and interactive way to connect with cast members and other guests about your shared passion for Disney. There are thousands of pins featuring characters, attractions, holidays, special events, icons, movies, resorts and so much more. It’s a great hobby for Disney guests to explore and collect as many pins as possible. Collecting pins can be exciting for people of all ages, and it’s common to keep a board or display at home to showcase the collection. Pins are available in the merchandise locations within the parks, resorts and Disney Springs. They are usually sold in price categories, depending on size, scarcity or quality. Purchasing pins can get expensive, with some costing around $15. If you’re wanting to begin the hobby, try finding Disney’s starter sets in merchandise locations. A starter set will come with a lanyard and a few pins to begin trading with. Buying online might be cheaper but beware of knock-offs because Disney cast members and serious traders will not take those pins. It may seem overwhelming as you begin collecting because there are so many pins out there. One way to make this easier is to narrow down your collection. Try to choose one character, movie or theme to collect. This can make trading more exciting as you search for a particular kind of pin. There are also exclusive collectible sets. These can be very challenging to collect because some sets are extremely rare. There are also exclusive singular pins that can be very limited and special. As your collection begins to grow, you’ll want to begin trading with cast members and other guests. It’s perfectly fine to purchase your pins, but that will get very expensive. Also, most pins are not continually manufactured, so try to trade for rare or older pins. If you have any fake Disney pins, you won’t be able to trade those with cast members or other visitors. It’s best to stick to the old-fashioned way of trading and collecting on property. Plus, that’s the most fun! Check out these great ways to collect pins the next time you visit Disney World. This is probably the most common way to trade pins because it’s so easy! If you see a cast member wearing a lanyard with pins on it, that means they are available to pin trade with guests. Sometimes cast members will use a small pouch around their waist instead. Be sure to politely ask the cast member if you can look at his or her pins. The cast member will then show you the lanyard, and you get to choose whichever pin you’d like. There is usually a limit of one or two pins per guest. Trading pins with a cast member is a great way to see a variety of available pins. Anyone can trade with the cast members, so you could see a wide range of different kinds of pins. Merchandise cast members are the most common pin traders, but some custodial and attractions cast members can as well. Cast members can’t refuse to trade with anyone, so you have the chance to choose extremely rare or interesting pins without having to trade one of equal value. If you notice a pin on a cast member’s lanyard that is facing the opposite way, that is known as a mystery pin. A mystery pin might not always be of great value. It could just be an ordinary and common pin. It’s up to the cast member to choose which ones they want to hide. For a guest, this can be exciting to choose an unknown pin. Sometimes cast members receive special pins to give away that can’t be purchased anywhere. It’s possible that a mystery pin could be a rare kind that you won’t find for sale. Another great reason to trade with cast members is they will be friendly and accommodating. If you have any questions about a pin set or a certain pin, they could possibly help you track it down. Cast members enjoy helping guests complete a pin set or find a specific pin. They may not always know the answers to your questions about pins, but they could offer some tips or ideas to help you find whatever you’re looking for. Obviously, this tip doesn’t apply to everyone. 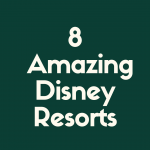 Unless you live nearby, have an annual pass or visit Disney World often, it can be difficult to plan a trip specifically for a holiday or special event. However, special pins can sometimes be offered for insignificant occasions or events you may not have been expecting. During your visit, keep your eye out for any unique pin giveaways or sales. Pins are often released for holidays and anniversaries. For example, check the stores for Christmas, Mardi-Gras, Valentine’s Day or Halloween-themed pins. Even if you don’t want these specific pins, they can come in handy when you trade with others. Every person will have a unique collection or preference when it comes to trading. You can use these holiday pins to your advantage since they aren’t available all year. The same concept applies to anniversaries. You might inadvertently plan your vacation during a park’s anniversary. There are usually special pins released during this time to celebrate the park. There are other Disney-related events that the pins will display. 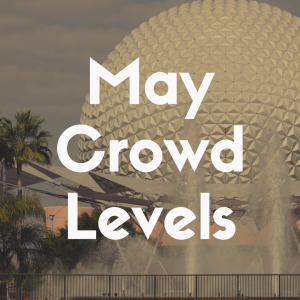 Some examples of these events are the Disney World marathon weekend, Epcot’s International Food and Wine Festival or Epcot’s International Flower and Garden Festival. The festivals in Epcot offer interesting pins throughout the length of the event. These can be great for trading or just keeping for yourself. Sometimes there are even insignificant events that offer unique pins. If you stay in a Disney resort that is under construction, you might receive a special gift of construction-themed pins. If you eat at certain restaurants or attend certain shows, you could receive a pin. Some cast members may offer a free pin to celebrate your first trip to Disney, a birthday, an anniversary, or just because! Disney World is such a busy place that you’re likely to find some sort of special pin. 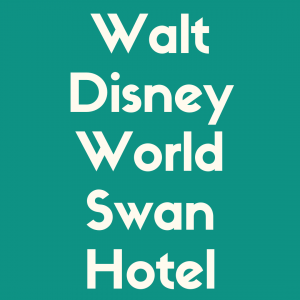 The Disney parks are the main locations to find pins, but resorts and Disney Springs are great places to look too! Be sure to look in the gift shops. You’ll find regular pins there, but there are also resort-specific pins. If you’re staying in a Disney resort during your vacation, just check the gift shop there. If you’re not, searching for pins is the perfect reason to go resort hopping. It’s so much fun to see the different resorts around the Disney property. There are so many different resorts and each one is unique in theme and atmosphere. Ask cast members at the resorts if there are any pin boards or binders at the resort. These boards and binders offer several different pins that guests are welcome to trade with. Cast members in the resorts are very helpful when guests are searching for a certain pin. They will likely offer to help find whatever you’re looking for. If you’re staying in a resort, some cast members in the gift shop will even offer to keep a look out for whatever pin you’re searching for. Of course, this isn’t guaranteed, but most cast members want to do everything they can to make your stay magical. Disney Springs is a great place to do your pin trading because there is no cost of admission to visit. There are a few specific locations in Disney Springs that are prime buying and trading places. World of Disney in Orlando is the largest Disney merchandise store in the world. The large size of the store means a large selection of pins! World of Disney is the perfect place to shop for all things Disney. Find clothes, jewelry, toys, home décor and more while you look for new pins. Disney Springs is not a Disney-only area. Many of the stores and restaurants here are not affiliated with Disney or pin trading whatsoever, so don’t search in each store for pin trading cast members. World of Disney is the main area to go pin trading and shopping, but there is also a Disney’s Pin Traders kiosk. This is a little merchandise store that sells several pins and lanyards. Trade with other guests and cast members at this location. For some people, pin collecting is like a competitive sport. You’d be surprised at the amount of people who obsess about pin trading. It’s such a fun hobby in general, and since it involves Disney, that makes it even better. 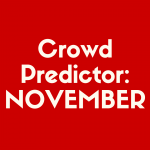 You’ll probably be able to spot the experienced pin traders in a crowd pretty easily. Most of them are proud of their collection and want to show it off. You can politely ask them if they’d be willing to trade, but don’t be surprised if they don’t want to. Serious pin traders won’t want to trade their one-of-a-kind pin for a generic one you just bought at the gift shop. Some people have collected pins for years, and it can take a lot of money and time to make an impressive collection. Pin collectors can show off their pins in many ways. You might see people wearing pins on a backpack, binder, bag, or even vests! Approaching an expert pin trader is perfectly fine, but it’s probably better to do if you have some rare pins to offer in exchange for their rare pins. Although, some experienced pin traders might have a separate collection of more common pins to trade with other visitors. Pin trading with other Disney World guests is a great way to connect and get to know other people with your shared passion of Disney. Don’t be afraid to start a conversation or ask about their day. 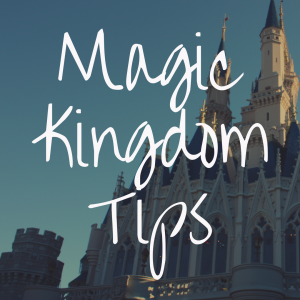 You might find something in common or learn an interesting Disney tip. Experienced pin traders will most likely know a lot about the parks because they’ve probably visited a lot. 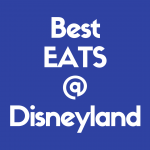 As you’re trading pins, ask them what their favorite restaurant or ride is. There are several hidden locations around the Disney property to find pins. You might find some pin trading stations in the most unexpected locations. There are some on strollers, trash cans and other secret pin trading locations. Ask cast members in the parks, resorts or Disney Springs where a nearby location could be. If you’re lucky, you could stumble across a really hidden trading stand with some great pins. There are some other pin trading locations that aren’t so hidden. Go to Pin Central in the Future World area of Epcot for a great location to buy and trade pins. It’s a large kiosk that sells several pins and other merchandise. There are tables around where serious collectors or beginner collectors can meet up and trade pins. Of course, you can trade with the cast members there too. This location is a great way to buy and trade your pins at the same place. Do some research online for some pin trading meet-ups. Some Disney fans take this hobby very seriously and plan special events to trade pins. These events could be held within the parks or a city near you. Join Facebook groups or regularly check websites for upcoming meet-ups. These can be a great way to find a variety of pins. Sometimes Disney will host special pin events like PinQuest. PinQuest is an event that happens occasionally in the parks that involves guests going on a scavenger hunt. It’s a fun activity for families to do as they explore the participating park in search for clues. As you solve the clues, you can redeem your card for special pins. Events like these are a great way to receive pins that you can either keep as a trophy for completing your quest or trade for a different pin.